A clock made of cotton paper. A multifunctional basket unfolding in imaginative ways, inspired by the ancient art of origami. 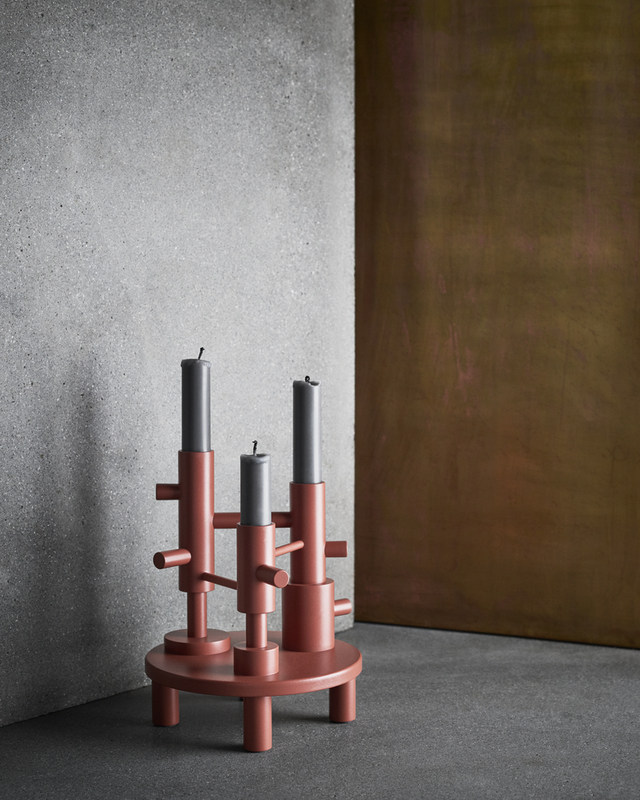 A warm new take on popular, whimsical candleholders. These are just some of the designs you will meet in the new Objects by Republic of Fritz Hansen collection for AW17. The collection features designs by Jaime Hayon, Cecilie Manz, Arne Jacobsen, Wednesday Architecture and Mia Lagerman, who all used nature's own colours or materials as a central, recurring theme. Uniting such elements as terracotta, ash veneer, natural leather and knitted wool, the various Objects pieces come together to create a soothing and inviting ambience. - With Objects AW17, we created a collection that nods to Danish and Japanese handcraft and aesthetic traditions, as well as to the work of the skilled cabinetmakers and craftspeople who have built the Republic of Fritz Hansen. The new objects work together and on their own – and are all made with the purpose of bringing joy into the home, explains Christoffer Back, Director of Objects by Republic of Fritz Hansen. The graphic new Trapez cushion succeeds the original AJ Cushion in Vertigo. Just like Vertigo, the Trapez pattern was originally designed by Arne Jacobsen and showcases the Danish architect and designer's minimalist expression. 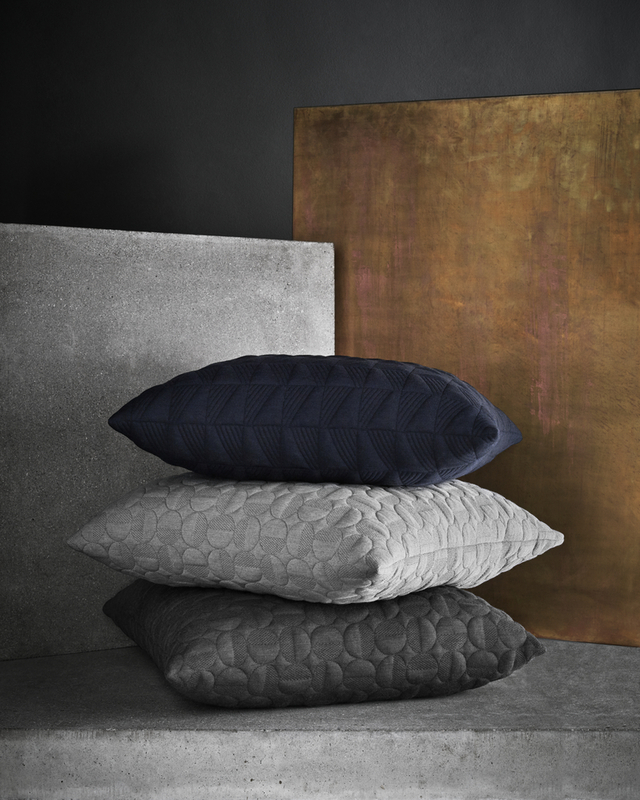 The Trapez cushion comes in the intense, dark Midnight Blue – a colour that brings the pattern and its shadows to life in a playful, beautiful and understated manner. The multifunctional Origami basket by Cecilie Manz was inspired by the traditional Japanese art of paper folding. The purpose of origami is to create an object based on geometric, folded shapes and patterns. The Danish designer’s own fascination with Japan shines through the foldable design, which harmoniously unites minimalism, functionality and aesthetics. 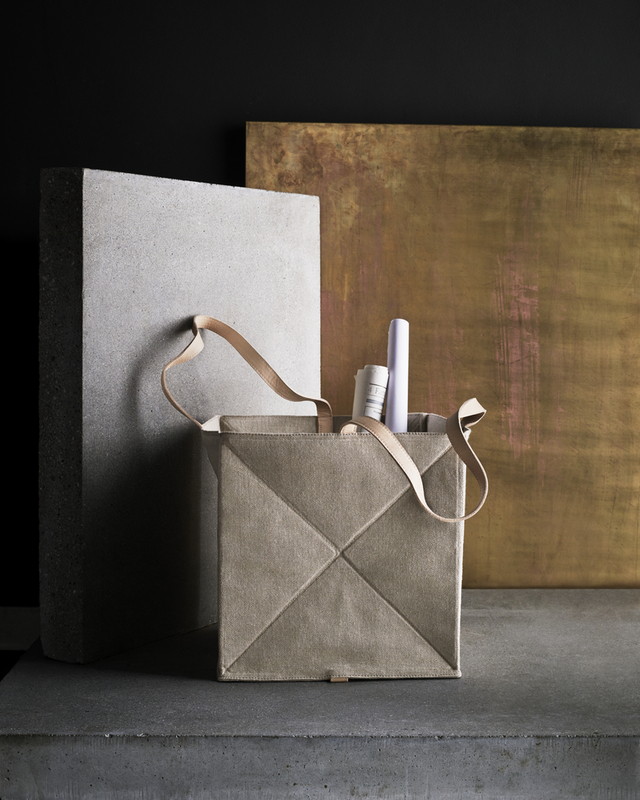 The Origami basket is made of linen and its straps of leather left over from the production of other Republic of Fritz Hansen designs: In other words, a high-quality material that only grows more beautiful with time. The story of Cecilie Manz's fascination with and affection for Japan continues in her latest pouf designed for Objects. 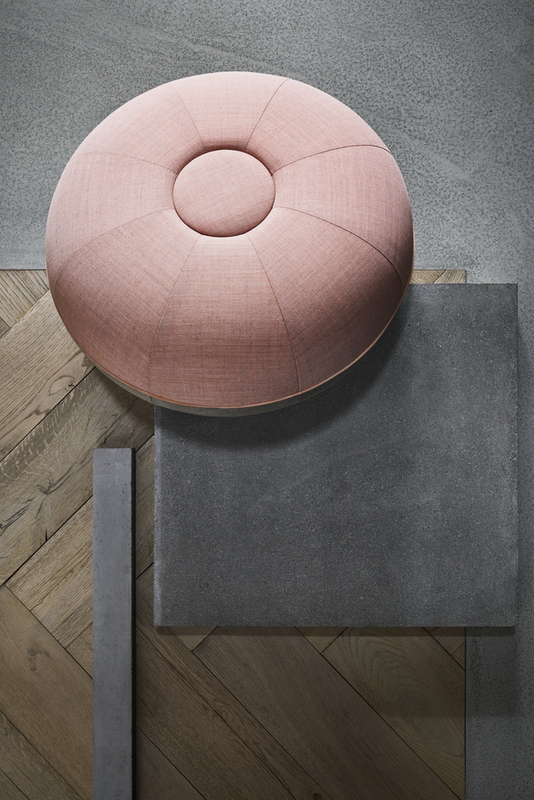 The bottom half of the small pouf is upholstered in linen and the top in a Kvadrat textile in the gorgeous Sakura colour. Sakura – Japanese for cherry blossom – adds an understated, feminine touch to the small pouf with many possibilities. Use it for stacking your coffee table books, for the tray serving afternoon tea, or for kicking up your feet. The elegant, lightweight pouf is easy to move around and, rendered in the subtle, stunning Sakura hue, becomes a small objet d’art on its own. 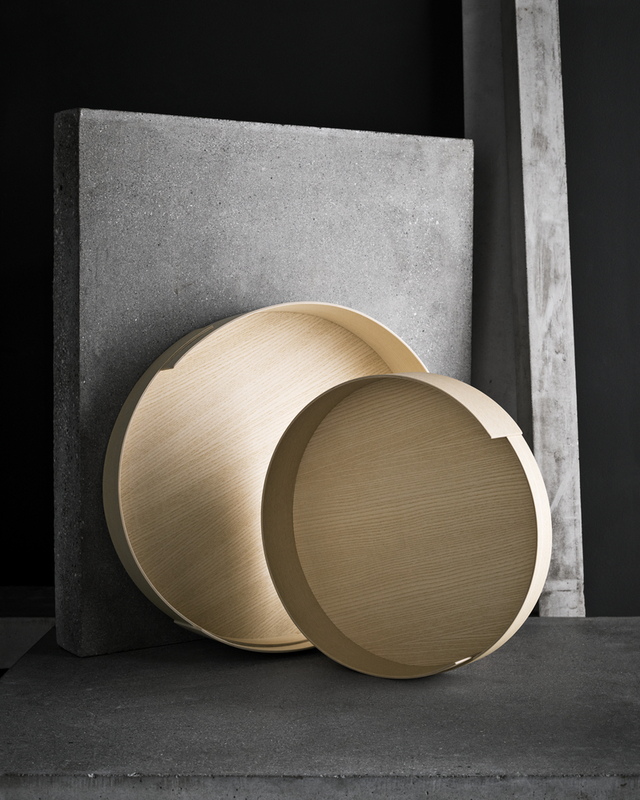 The Danish design duo Wednesday Architecture’s Stack Trays are now available in three different sizes. The moulded ash veneer trays are crafted in three layers using the same principles as Arne Jacobsen’s Series 7 and Ant chairs. Elegant, simple, and versatile, the trays elevate both everyday and special-occasion gatherings with their chic, practical design. 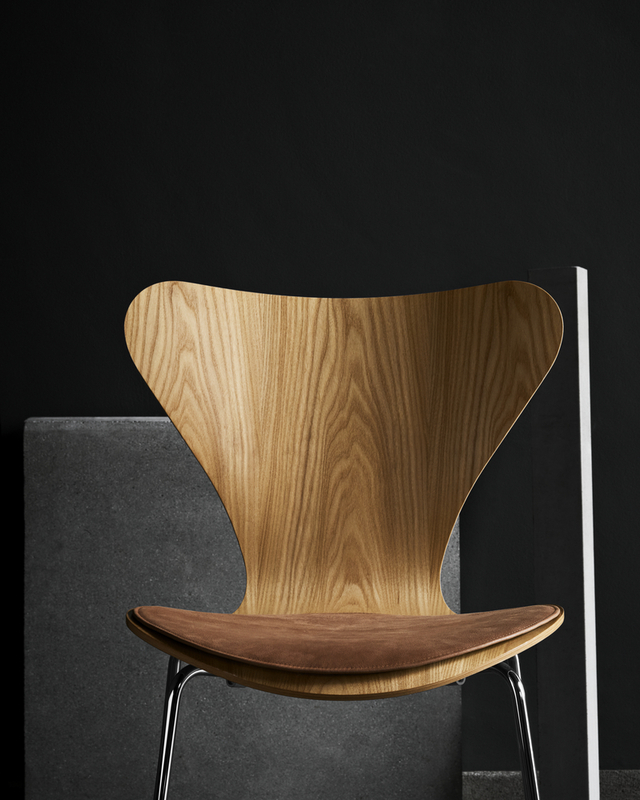 The classic seat cushion for Arne Jacobsen's Series 7 chair is now available in natural, comfortable, brown Cowboy leather. The pure aniline leather has a matte, natural expression, with beauty marks like insect bites and scars making each piece unique. The Cowboy leather is soft as silk and will only become softer and more beautiful with time as it acquires a patina. Timeless, but on time. Swedish Mia Lagerman has designed this outstanding wall mounted clock. 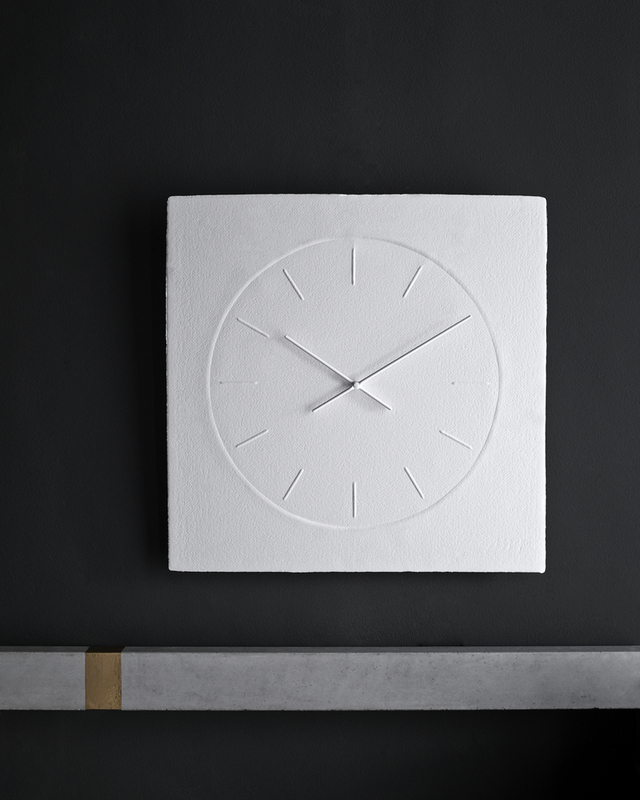 In all its simplicity the clock is made of matte cotton paper. The time is embossed on the paper that unveils two watermarks when the clock is held up against light. The paper is handmade on a Swedish paper mill from a 300 years old traditional production method. This traditional and simultaneously innovative approach to design makes this item quite unique; a clockwork that is both decorative and useful.